Review – Alexa! Can you hear me? 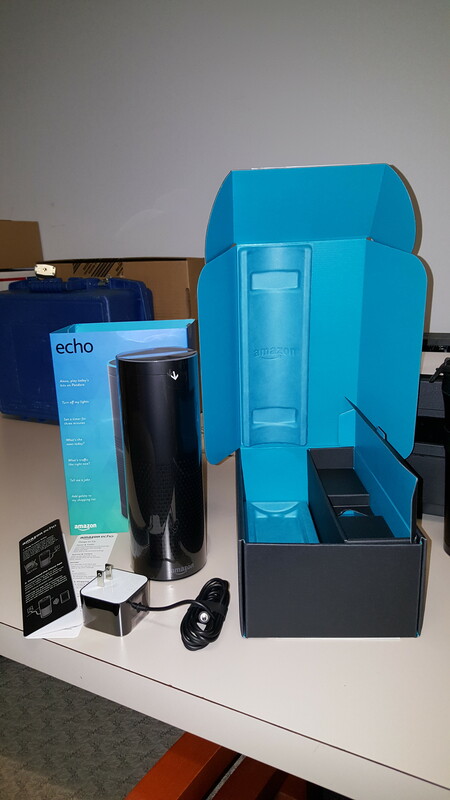 Setting up the Amazon Echo was super easy…. I mean a monkey could do it…. well maybe not that easy. 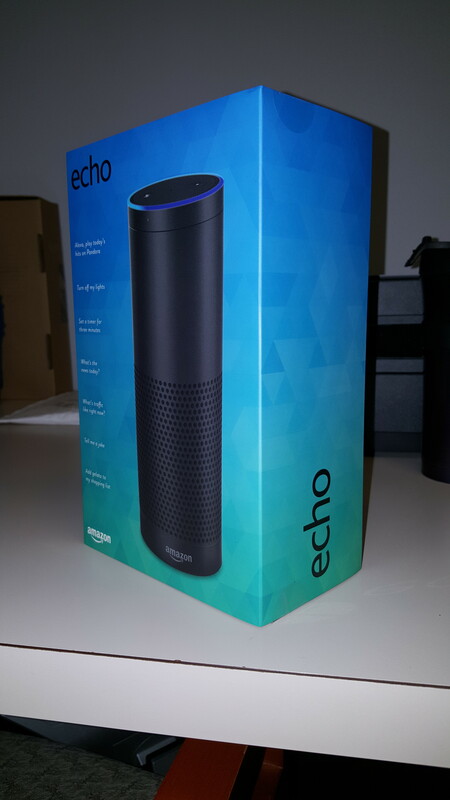 First thing you have to do is to plug the Echo into a wall with the included power adapter. Once you do the light ring on the Echo will turn blue, and then Orange where you will here Alexa’s voice for the first time greeting you. This is where the fun begins…. Next you need to download the free Alexa app for your chosen device. 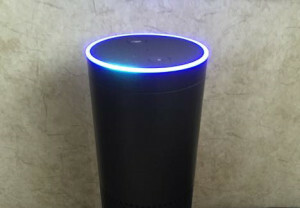 To download the Alexa app, go to the app store on your mobile device and search for “Alexa app,”. You can also go to https://alexa.amazon.com from Safari, Chrome, Firefox, or Internet Explorer (10 or higher) on your Wi-Fi enabled computer. Your device operating system will need to be Fire OS 2.0 or higher, Android 4.0 or higher, iOS 7.0 or higher. Once you have the application installed it is time to connect your device to it. This is easy just open the Alexa app and then follow the instruction. The first thing it will do is connect your Echo to your local Wi-Fi. Once that is done it is time to start speaking to Alexa. 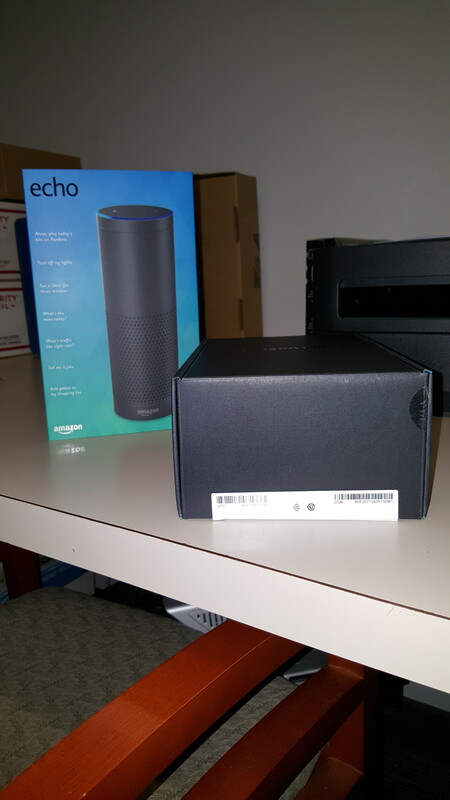 The Alexa app has a nifty little setup process called “Voice Training” that gives you 25 statements to read to Echo to allow it to learn you speech patterns and help Alexa understand you better. 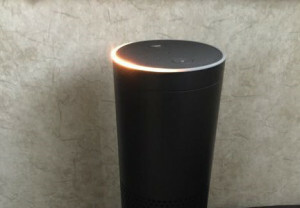 That is it… Alexa is ready to listen to your request. Just say for instance “Alexa play “Bring Back the 80’s from Spotify.” and she will respond with a confirmation and then start your request. I know do not judge me I still love to listen to “Karma Chameleon”! 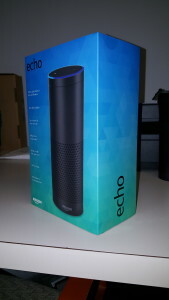 Next time we will delve into my first couple of days of using the Echo! Review – Can you hear that Echo?! I have been looking the Amazon Echo ($179.00) for sometime. I have gone back and forth on just how useful this tool would be in my household. I decided to take the plunge…. Today it arrived in all its glory! When I opened the box I was greeted by the attractive packing. As you can guess it did not take long for me to bust out this puppy so I could take it for a test drive. As I started to manhandle the box the first thing I noticed was the weight. I mean this thing weighs in at 4 pounds! This guy is a sturdy piece of equipment and the weight shows it. As I opened the inner box I found the Echo loving tucked into a cozy little nook. I gently pulled it out and set it aside so I could remove the other contents. Which included the power supply, setup instruction, & a quick start guide. 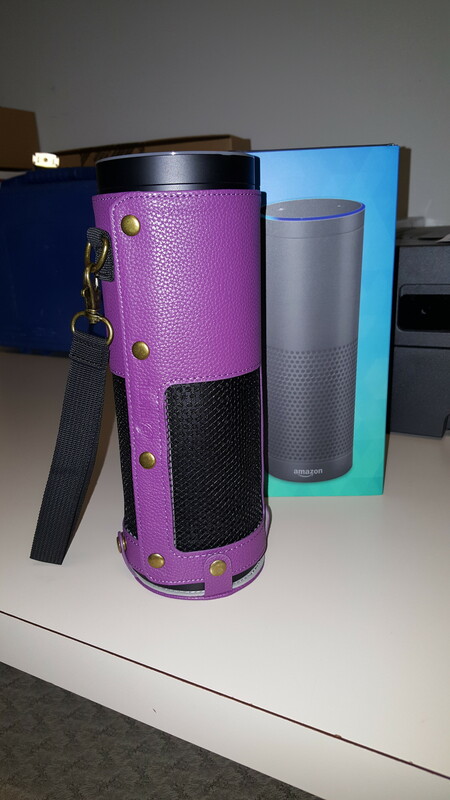 As many know I am a bit of a freak when it comes to my electronics and with the money spent on this device I decided to purchase a Fintie Protective Case for Echo ($17.99). 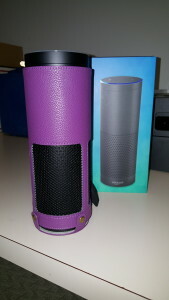 It snapped on very easy and is wraps the Echo tightly. 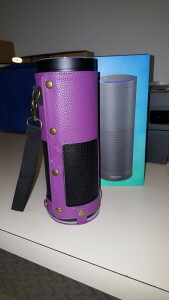 Not only does it have a strap to slip your hand through and secure it from being dropped it has a separate bottom cover to protect the Echo from being set down into something less than desirable. There are so many color choices that anyone can find something that tickles the fancy. I chose purple because, well it is my favorite color and I am a Baltimore Raven’s fan! There are two minor things I questioned…. The weight of the Echo makes it hard to take with you, whether it be the office or someplace else. Tomorrow I will go over the setup and my first day using it.